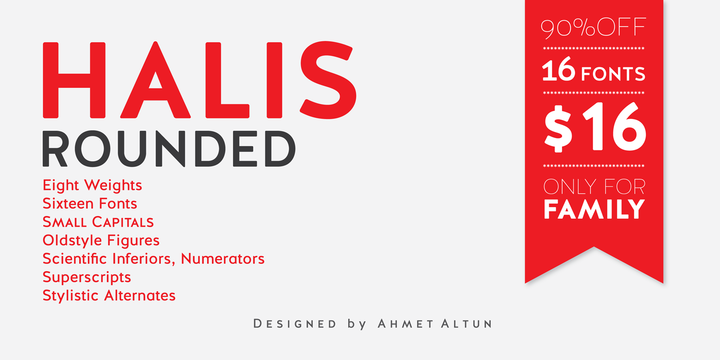 The Halis Rounded is available 8 weights. All of the weights have small caps for Romans. This wonderful font bears the traces of ancient Avenir and Brandon Grotesque. It can also be referred to as the smoother version of Halis Grotesque lineage. The font has rounded corners that are very soft and attractive.